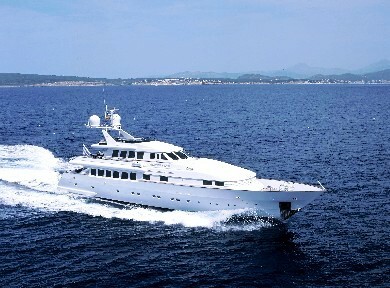 Motor Yacht INDIGO STAR I is a 38m yacht built in 1995 by S.M. 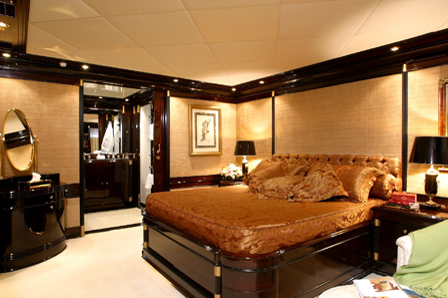 Italian Yachts with interior design by Vafiadis. 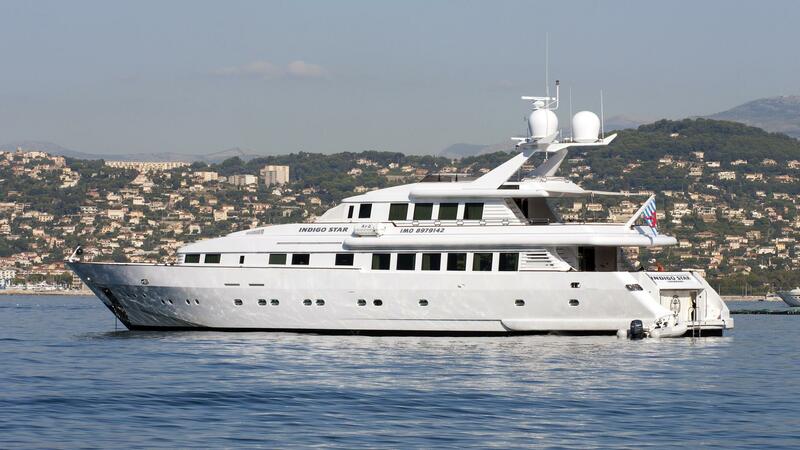 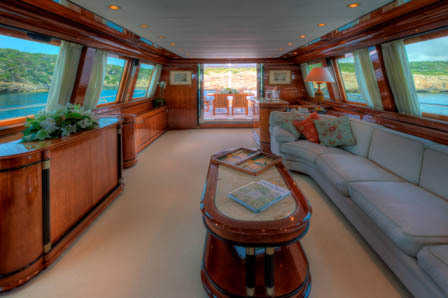 She has been impeccably maintained and was last refitted in 2008 when she received new soft furnishings and upgraded entertainment and technical systems. 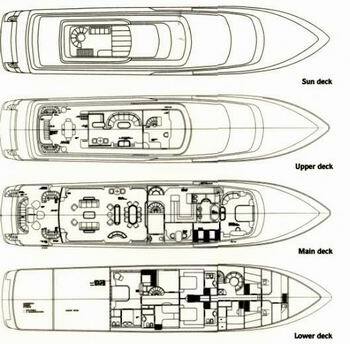 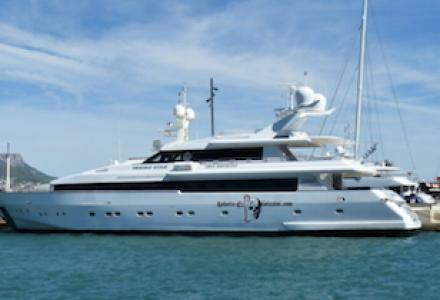 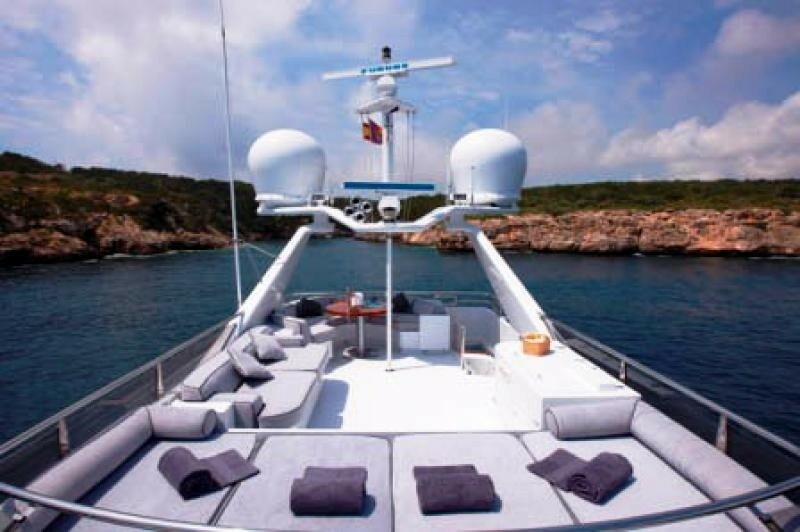 She is a special yacht that offers a tantalizing package at a very reasonable price. 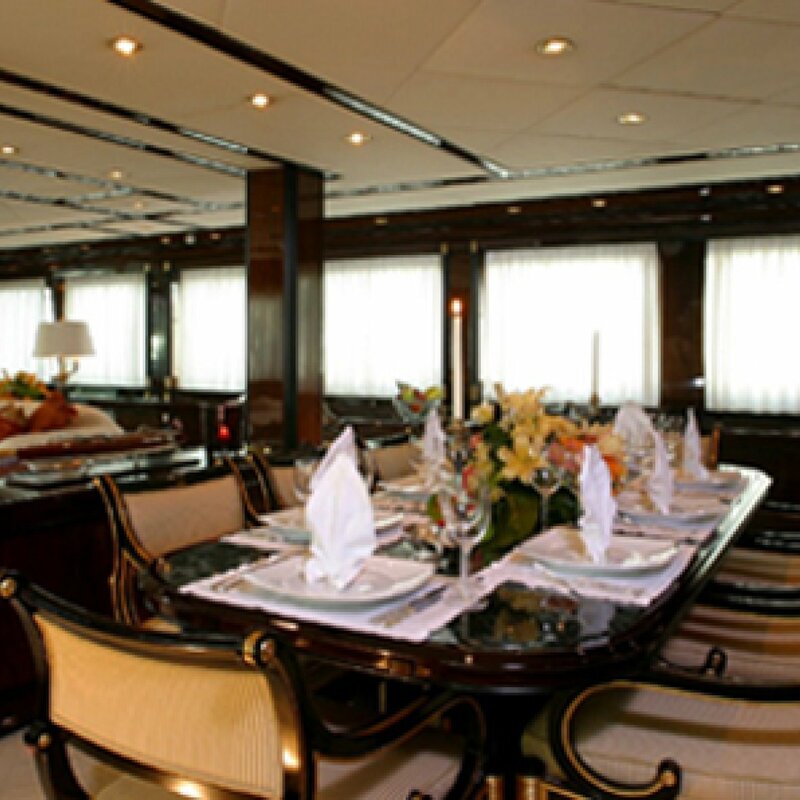 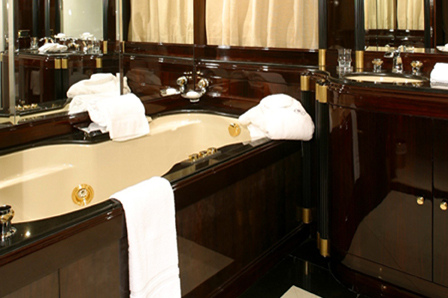 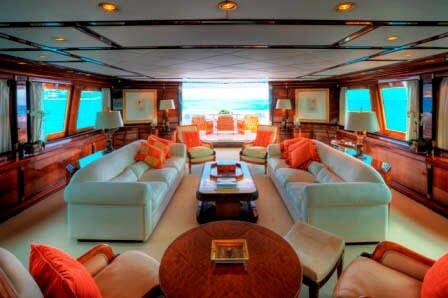 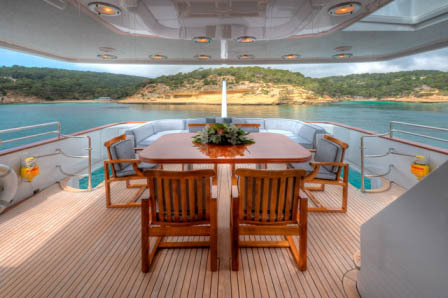 The yacht is in excellent condition with a bright and fresh decor. 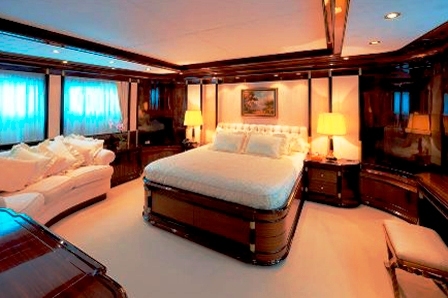 The light neutral tones in the soft furnishings contrast with dark rich woods creating a balanced and very luxurious atmosphere. 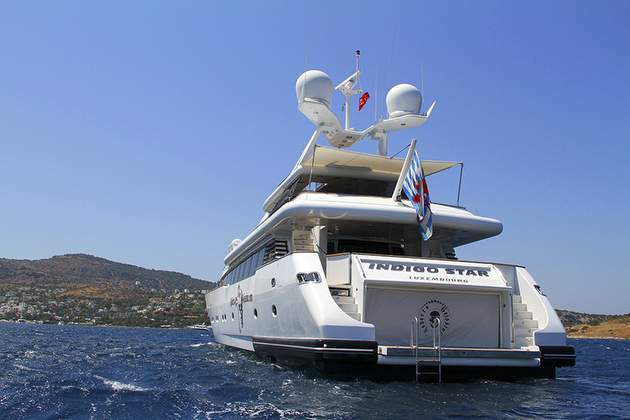 INDIGO STAR I also offers a functional layout with two alfresco dining areas and one formal dining area indoors. 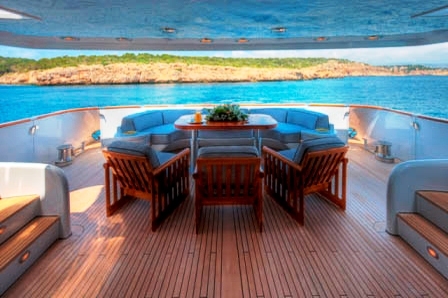 Alfresco dining is possible on the main or upper aft deck plus the sundeck offers lovely relaxation area to enjoy sunset cocktails or canapés or simply to relax and soak up the Mediterranean sun. 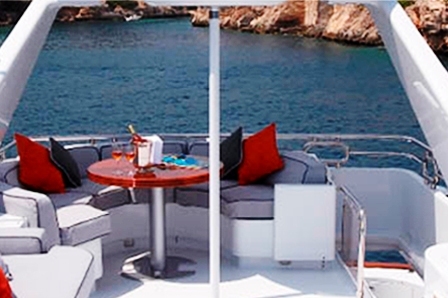 This motor yacht will also keep guests entertained with a great range of water toys including two tenders, wave runners, skis, wakeboards, towable toys and dive equipment just to name a few. 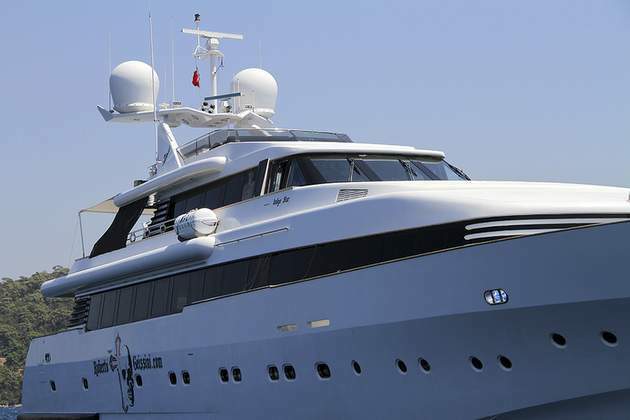 She is also equipped with a gym with Exercycle, treadmill, TV & VCR. 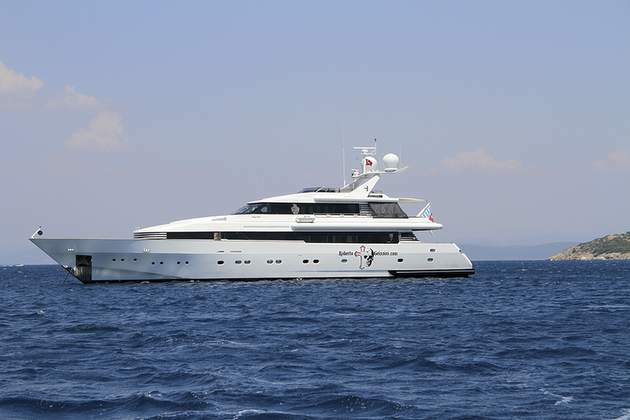 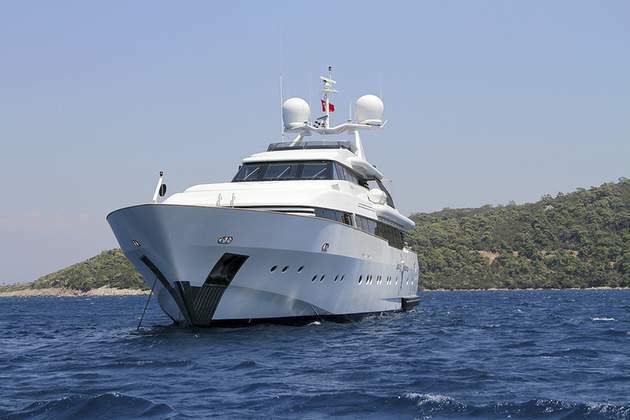 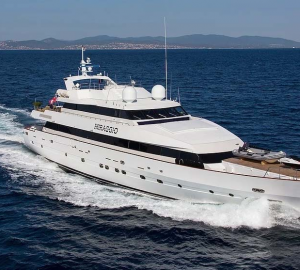 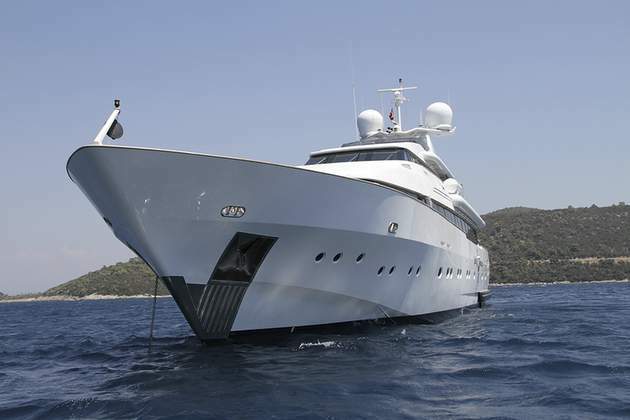 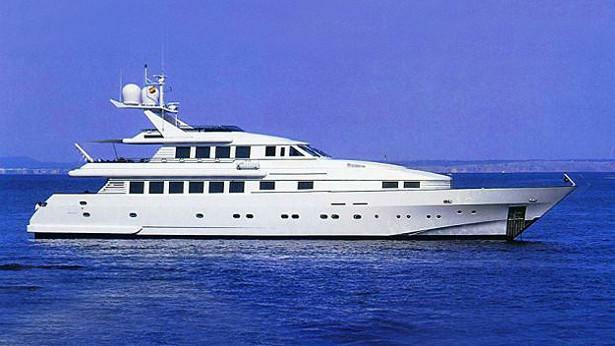 Luxury Motor Yacht INDIGO STAR I offers spacious and elegant accommodation for 10 guests in 5 cabins. 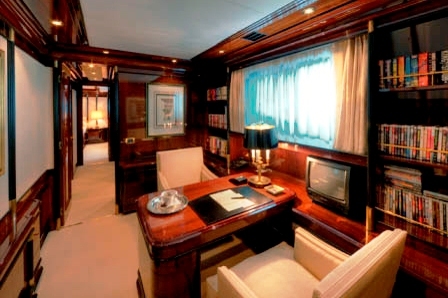 The Master cabin is located on the main deck and has a large king sized bed, an office, his and her's walk-in wardrobes plus a luxurious bathroom with Spa Pool and separate shower. 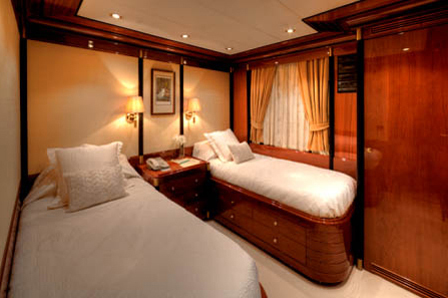 On the lower deck, there is a VIP cabin almost identical in size as the master cabin with a queen sized bed and ensuite bathroom with shower. 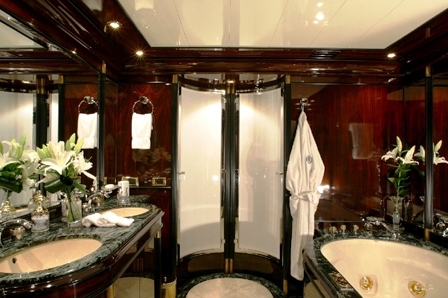 There are two double guest cabins with queen size beds and ensuite bathroom with shower and one twin cabin with two single beds and ensuite bathroom with shower.